Exclaim! is streaming our debut album in full this week. Do us a solid and help us tell the world (to pre-order it now!). Calgary-based band Napalmpom are set to unleash their debut album next week, but if you’re in need of some old-fashioned, hard-hitting rock’n’roll right now, Exclaim.ca has got you covered with an advanced stream of the record. 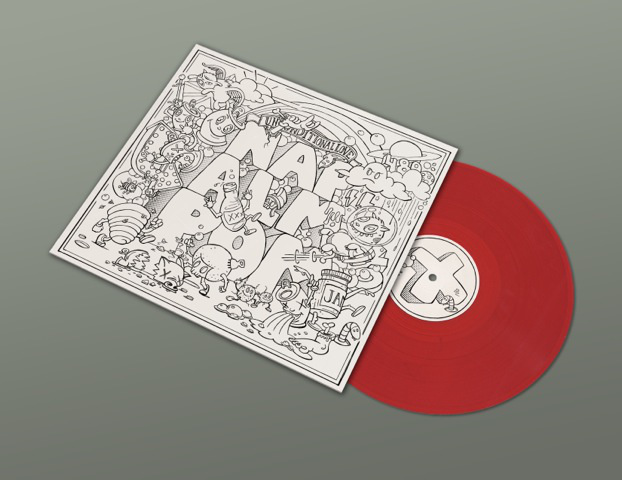 The Unconditional Love of Napalmpom is the first full-length effort from the group, who define their sound as “celebratory rock’n’roll so good that even the members of the band play air guitar along to it.” Drawing from classic influences like MC5, Thin Lizzy, AC/DC, the Exploding Hearts and (early) Black Flag, the band clearly believe that the future of rock lies in the past. The new album is made up of 11 tracks that are better described as “love letters to the entire history of rock’n’roll.” They previously shared the hilarious video for single “Guided by Volume,” mocking folk-pop giants Mumford and Sons, but with the arrival of the new record, listeners get an even better sense of the band’s humour and personality. Throw your fists in the air and get ready to nod along to The Unconditional Love of Napalmpom before it hits shelves on October 17 via Teenage Rampage. Give it a spin below. The Unconditional Love Of Napalmpom OUT NOW!